This gorgeous white kitchen is a collaboration between interior designer Courtney Giles Decker and architect Brandon Ingram. 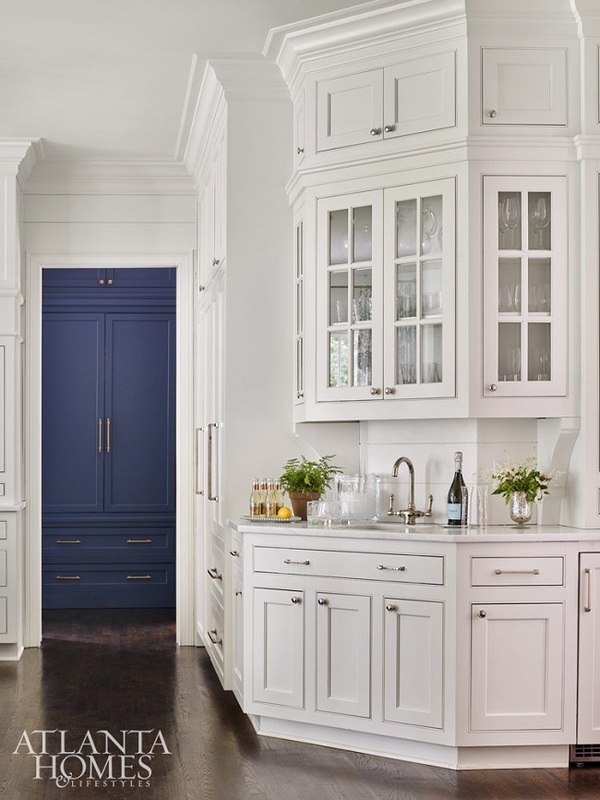 Blue accents such as bold blue cabinetry and accessories are used to give this classic kitchen a new twist. 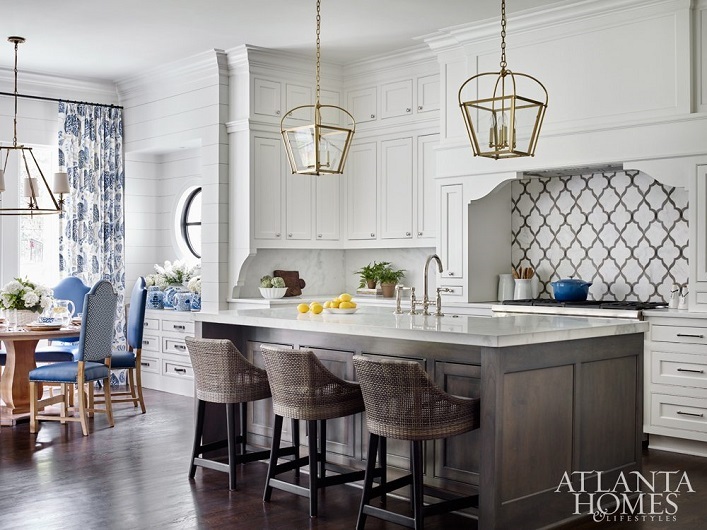 The geometric pattern marble backsplash not only create visual interest but also acts as the focal point in the space. A pair of brass open lanterns are an unexpected touch, breaking up the silver metals in the room while exuding warmth and elegance. 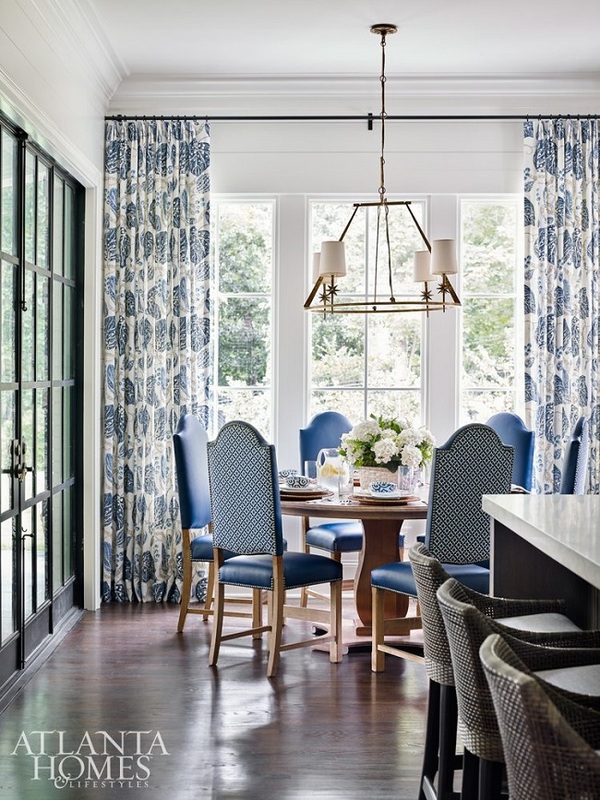 The blue accents are thoughtfully incorporated in the adjoining breakfast room for a sense of flow and cohesiveness. Decorative textiles are added to the back of the blue dining chairs for a surprise delight! Fresh, beautiful and timeless, this fabulous kitchen is beyond inspirational, don't you think? Any thoughts? WOW! Gorgeous. Nothing outlandish. They did a terrific job. 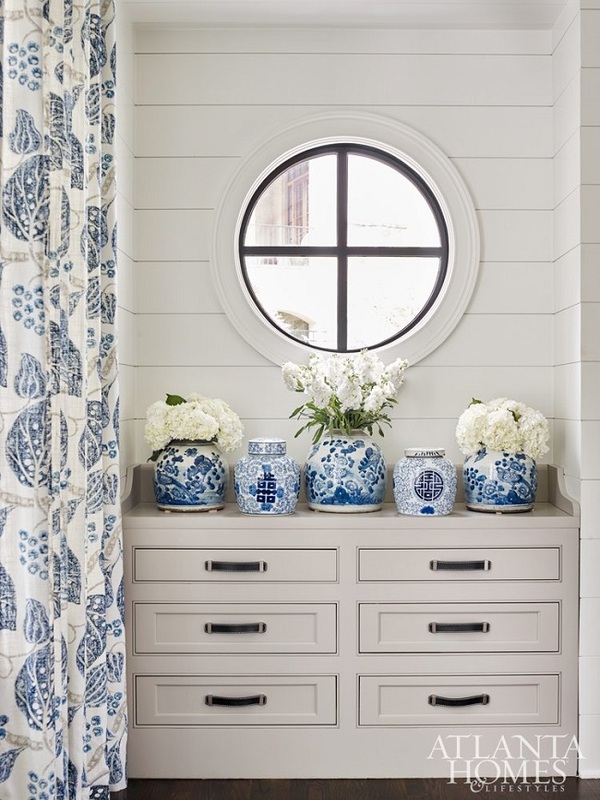 Love this new trend of blue added to white kitchens. Brass accents add to the fabulous space.